You might not know this, but I've always had a love for home decor. I'm the type of person who checks out model apartments just to see how they are decorated (and to eat the free cookies, if available). When I move to a new place, my mind is full of ideas on how to design each inch -- from the closets to the kitchens. But I didn't really get a good opportunity to truly harness my decorating skills until I moved into my house earlier this year. You might remember this brief home tour I shared in April (before the kitchen remodel). But I wasn't especially satisfied with my bedroom dresser decor. The beauty of owning your own home is that I can continue to make changes and improvements to a space until it suits my style. Based on the pictures from my home tour post, you can probably tell that I'm a big fan of light and airy colors like grays, light blues, yellows and whites. So my bedroom refresh had to incorporate this aesthetic while still keeping with my vibe. So Minted.com was the perfect place to get the right piece of art to pull everything together. 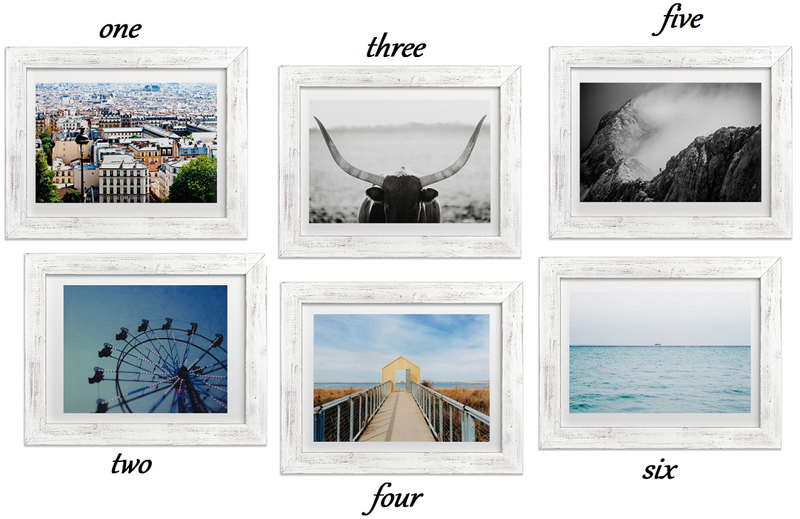 Minted art is a marketplace of independent artists and features hundreds of beautiful pieces to decorate your home. With so many great options, it took me and the hubs a while to pick a piece, but we finally landed on this great limited edition print called Aquamarine by Lindsey Ferraris. What's even cooler is that she's based here in the Bay Area! 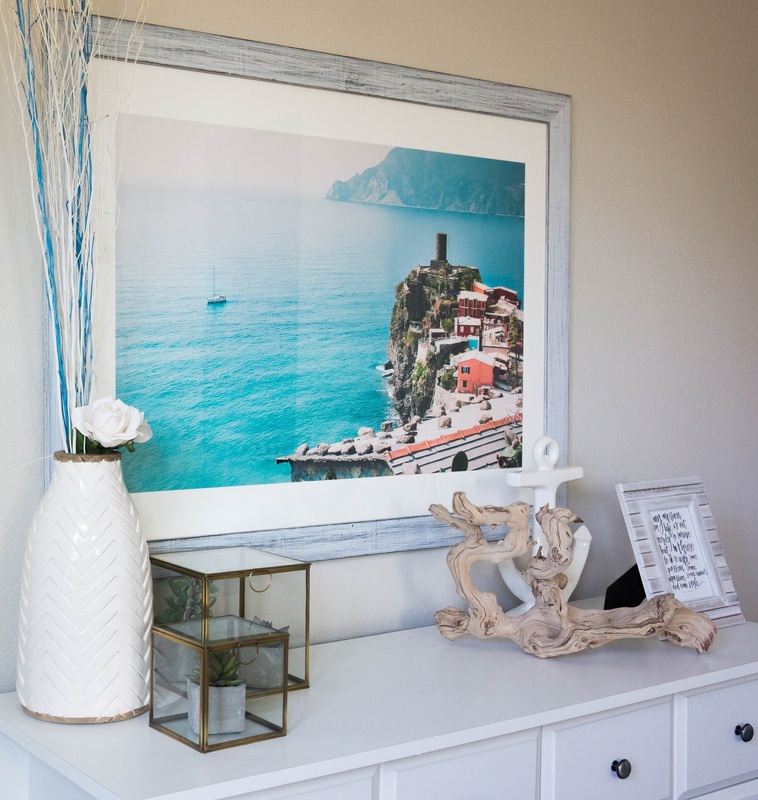 This print with the distressed cottage frame is perfect for our beach bedroom atmosphere. And the size of the piece really brings the entire room together. 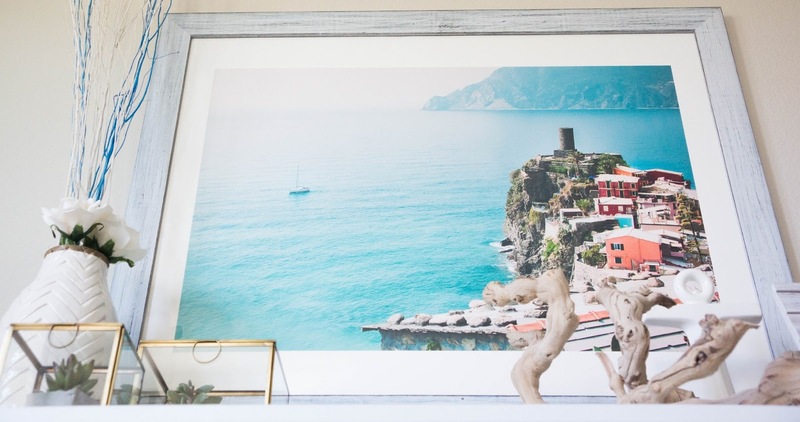 I would honestly love to decorate every room in my house with a great print from Minted. One beautiful art piece from this site is guaranteed to make a space come alive. And you gotta love that they work with independent artists. What do you think? And happy Veterans Day! I'm into bright and airy rooms too! Love going through Minted's art collections and prints. They seriously are the best and I love what you have picked! That is a gorgeous print and it fits in perfectly with the beachy theme you have going! 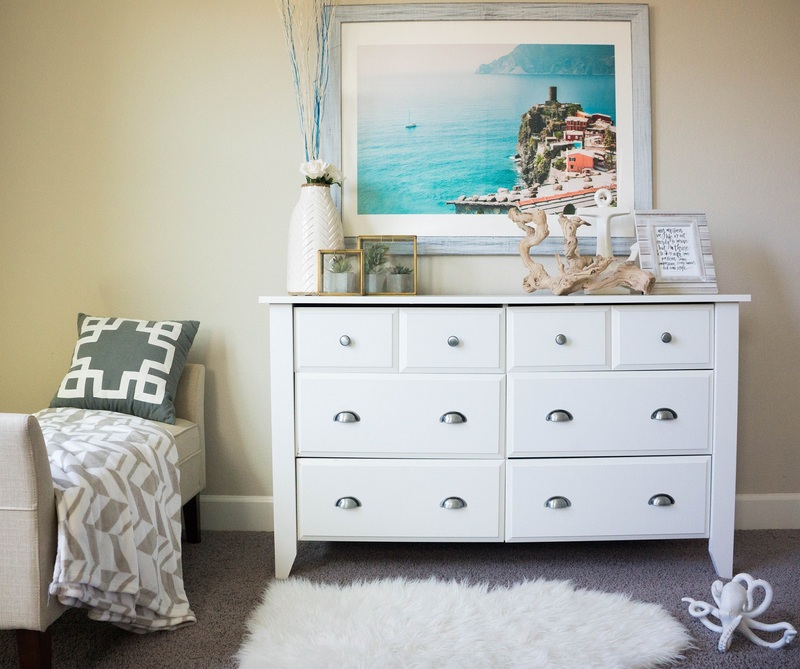 Love the cool and serene vibe of your bedroom Cheryl! Come join my Oprah's Favorite Things giveaway! It looks really beautiful - and the print is lovely and very soothing. We're in the midst of a bit of a home reno right now as well; just trying to make it all just the way we want it. oh wow… the mint addition does look marvellous. Great inspiration. I love Minted, always little treasures to find there. :) I'm looking to expand our closets soon, hopefully. You did an amazing job. The room looks so fresh and lovely! Love the picture. It's so pretty. The room is really nicely decorated too! looks nice! i love looking at model homes and i can also browse pinterest for hours just looking for ideas. i like photo three as well. The Art work is beautiful and it certainly does enhance the dresser while adding a pop of color to the space; great choice. What a great colorful and bold piece. It brings such a nice vibe to your bedroom! So beautiful and a gorgeous colour scheme. I'm going through a home renovation myself at the moment, so I'll be looking for artwork next year! Will check them out. The print totally fits with your decor, which is so fabulous!